The project ’24 hours of Underwater’ of Alptekin Baloglu & underwater photographer Asım Dumlu has been the first of such a project in the world, realized in 2006. The project was based on the 24 dives of both photographers within 4 days to record the every hour of the day around one diving site. The purpose was simply to exhibit the stream of life in a one day of period. 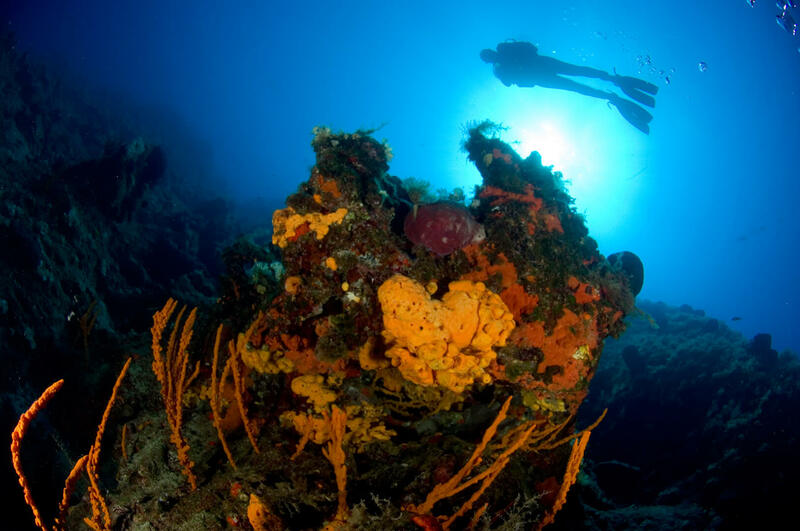 The diving site between the 17th and 21st August of 2006 was the small reef, a mile off Bodrum Harbor, a protruding platform of 30 meters diameter, from 34 meters depth of the open sea up to 6 meters below surface. As two of the photographers worked, Birkan Babakol and Fikret Altay contributed as dive assistants and models. Two teams worked in the project in relays. While a team went down and paused the hour other team waited their coming back and went then for the following hour as the first team surfaced. To decompress, teams had 4 hours stop periods between the dives. Though it was exhausting, anchored right above the reef, giant waves of the night time and sleeplessness did very little with the performance of the teams. 4 days of indefatigable work fertilized 2060 photographs some which then served for the viewers in a most distinct exhibition in Tepe Nautilius Shopping Mall premises, the sponsor of the project.